What is your Black Friday game plan? See all Grand Junction Store Opening Hours for Black Friday… GO HERE! The 2013 Black Friday Herberger’s ad has been released! 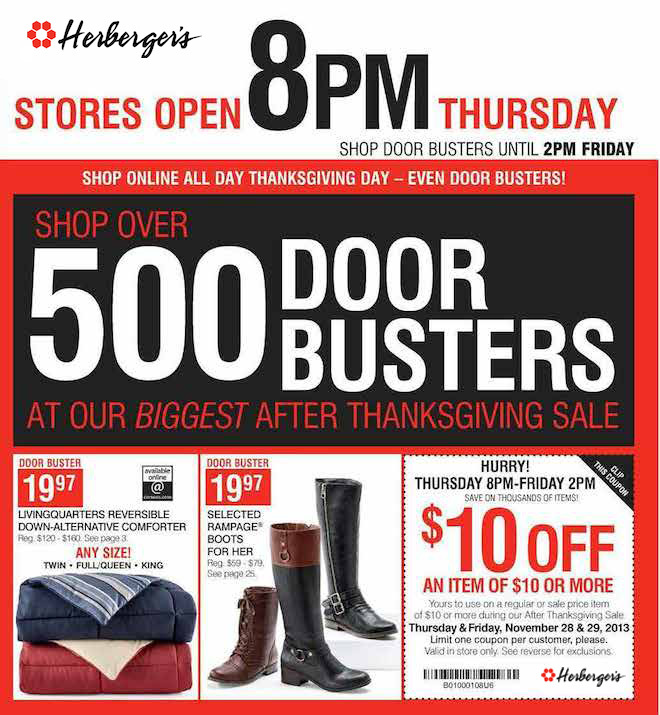 Herbergers will have 500+ doorbusters on Black Friday. Doors will open at 8pm on Thursday except where prohibited by law. 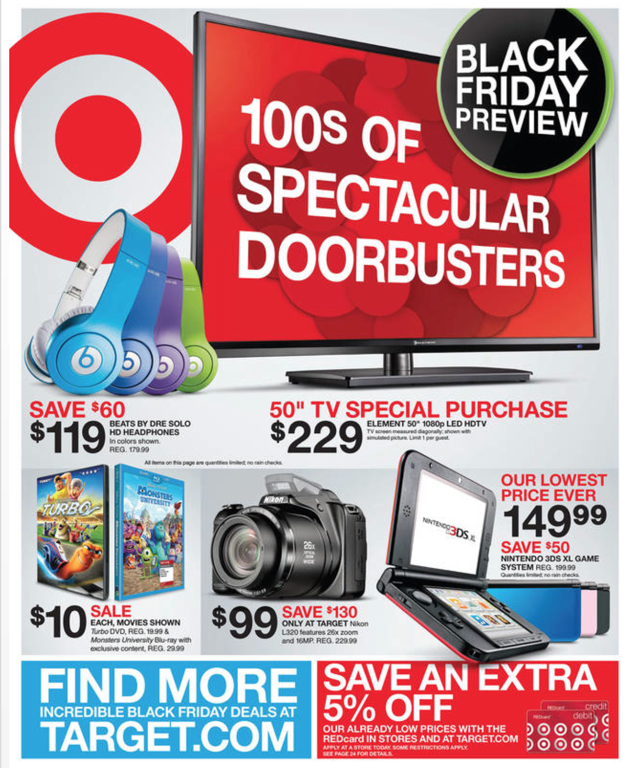 The doorbusters will be availabe from 8pm Thursday until 2pm Friday. C28 Christian stores offer cheap christian shirts. They have their own brand called Not of this World Clothing also know as NOTW clothing. Right now they have their Winter Clearance sale which gives you up to 70% off on Christian shirts, accessories, and more. Shop Christian Shirts Now. Also, now through December 31, 2012 C28.com is offering this coupon code: Want to do a little extra Christmas shopping? Use coupon code 5OFFHOLIDAY for $5 off your $40 order! Coupon Code: 5OFFHOLIDAY . Life Collection Christian Coffee MugAdorn your table with these fabulous Life collection ceramic mugs. Out Live Your Life Christian JournalMax Lucado, world-renowned, best-selling Christian author, invites us to outlive our lives, not just in heaven, but here on earth – rock the world with hope. Parenting-DayBrightener CalendarRealtime Parenting: Tips and Encouragement for Today’s Busy Moms. I Know Where Love Comes From 3 Ring BinderInspirational and poppin’ pink, this 3 ring binder is super for the classroom, office, church, home, or for anywhere you need to write and organize information. 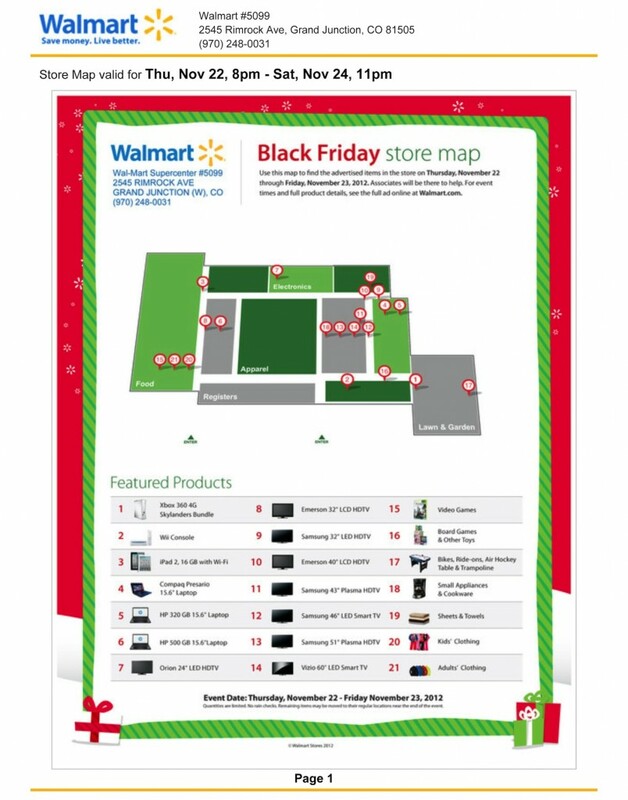 Plan your Walmart Black Friday strategy.The above map is for the Walmart in Grand Junction on Rimrock Ave. View maps for your city. Dayspring has started their Black Friday Sale! Starting today through 11/26/12 DaySpring is offering 30% off your entire order when you use Coupon Code: 30SUPER **30% off does not apply to super deals, which are already a great deal. $5 coupon details: Save $5 off $39.98 or more before taxes. Valid all day Friday, November 23rd. $10 coupon details: Save $10 off $59.98 or more before taxes. Valid Friday November 23rd 12am – 8am. 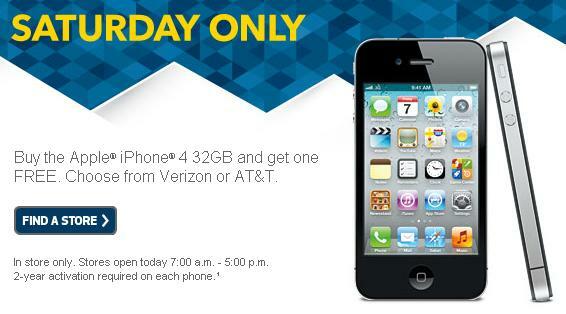 Best Buy is offering an amazing deal on the iPhone 4. Buy 1 Get 1 Free! The offer is valid in-store only, must be purchased today at Best Buy before 5pm, and you must start a new 2yr contract with either Verizon or AT&T. Need a last minute gift? Barnes & Noble just released a 25% off one item coupon. It can be used online or in-store. Print coupon now! Shoe Carnival is offering a $10 off a $49.98 purchase coupon! Print it now by clicking the above image.